Sorry we could not find anything that matches this criteria, please try adjusting your filters. * If your vehicle exceeds the contract mileage an excess charge will apply. You will not own the vehicle the end of the contract. Vehicle must be in satisfactory condition on return, please ask for further information. 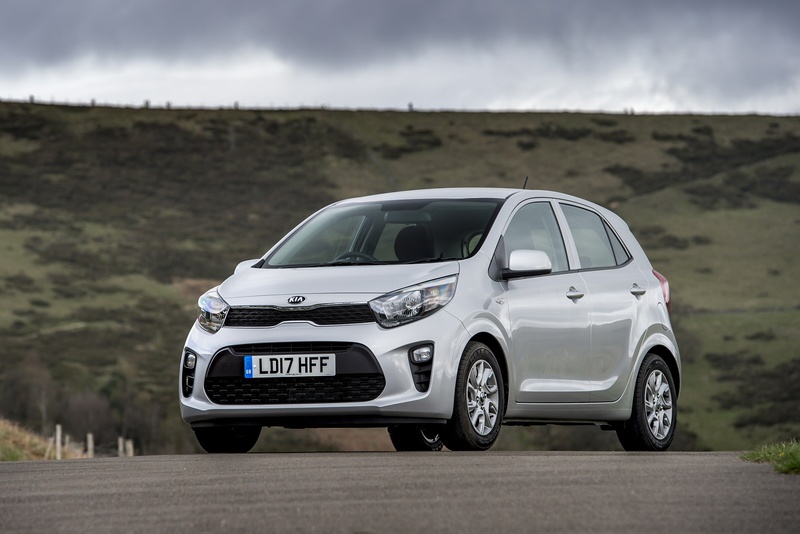 Kia's Picanto is at its most affordable - and potentially at its most appealing - in base 1.0-litre form. The experts at Car Driving look at what's on offer. 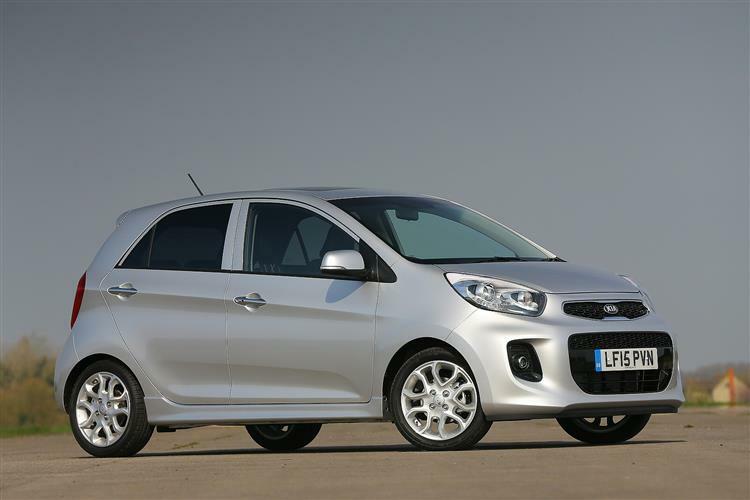 We know the Kia Picanto makes sense as a citycar, but this third generation model also adds a big dash of driving fun. That's an important factor when it comes to separating the best from the rest in this hotly contested sector. So, is the Kia among the class leaders? Let's check out the entry-level 1.0-litre version and try to find out. Citycars are by their nature small. In the past, that's been an excuse for some car makers to ignore the driving experience and cabin quality in the pursuit of low prices. 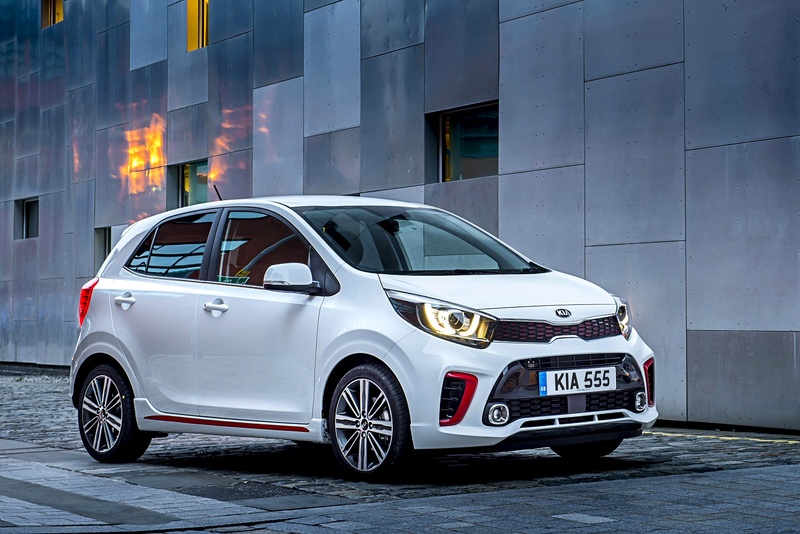 Kia thinks differently and with the third generation version of its urban orientated Picanto model, the Korean company has introduced a big dose of driving fun that aims to elevate this car firmly into contention in this keenly fought sector. Will that convince buyers to choose the Picanto over its Fiat 500-sized rivals? Given the sharp looks of this third incarnation of the Kia, it would be a brave man who bet against this Korean extending its market share. How will it do that? A drive in the base 1.0-litre version may help us find out. City cars have to balance ease of driving around town with being able to drive on motorways with equal ability. That's no easy task, but it's one the latest Picanto manages as well as, or even better, than most of its rivals. One of the core reasons for this is the steering. It's an electrically assisted system that provides plenty of feel as you pilot the car through town or along country lanes. Just as vitally, it also imparts a great sense of stability on the motorway, so you're never left worrying about driving a city car outside of its natural habitat. nderpinning this is the way the Kia keeps the lumps and bumps of the average road at bay. Its suspension is supple and absorbs all but the very biggest potholes with grace, yet it keeps body lean in check as you corner. Add in good grip, well contained wind and road noise and you have a small car that feels very grown up. That impression is underlined by the engine range on offer in the Picanto. It starts with the 66hp 1.0-litre 'MPi' unit we're looking at here, this three-cylinder motor pulling eagerly from tick-over. There's the usual triple pot hum from under the bonnet that's pleasing to the ear, while 0-62mph in 13.8 seconds is on a par with the competition. 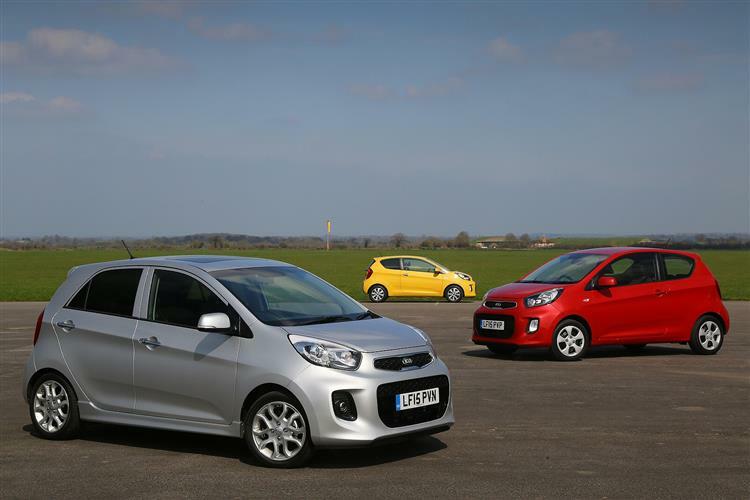 It may be the smallest car in its range, but Kia has packed in a lot of design thought and clever engineering to the Picanto. It's based on the firm's 'H platform' and has twice as much high strength steel than the previous generation. This makes it safer in the event of a crash and lighter to help save on fuel and emissions. 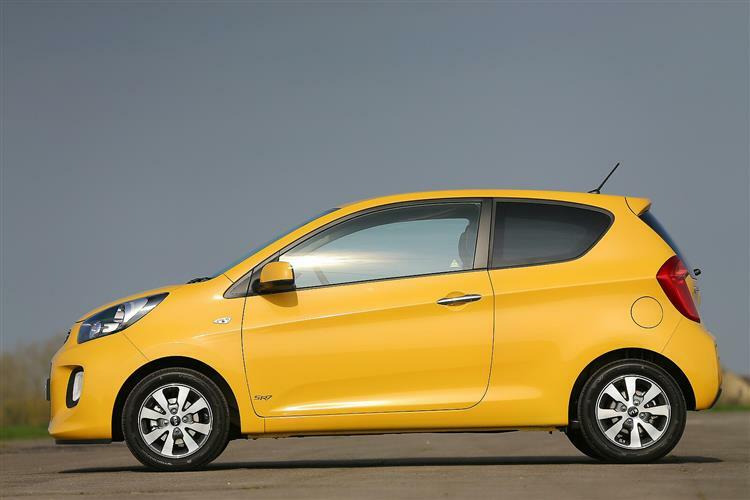 Overall, it weighs 23 kilograms less than the last model, which is a lot for a citycar. 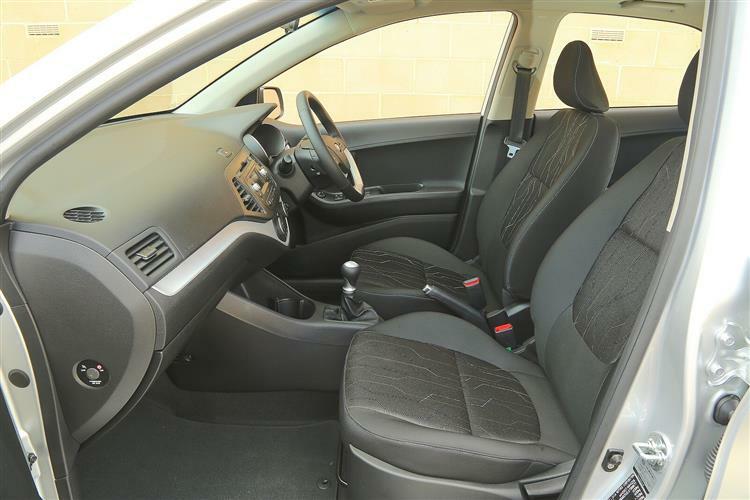 Getting comfy in the Picanto is easy thanks to all but the base '1' model coming with a height adjustable driver's seat. The helm for all variants except the entry-point model features remote controls for the stereo, hands-free phone connection and the trip computer. You might be forgiven for thinking a city car isn't going to offer up much room on the back seat. Well, the Picanto shows you can fit a quart into a pint pot as two adults can sit in the rear quite comfortably. If they're taller, you may find knees rubbing against the front seat cushions, but elbows, shoulders and heads are accommodated easily. 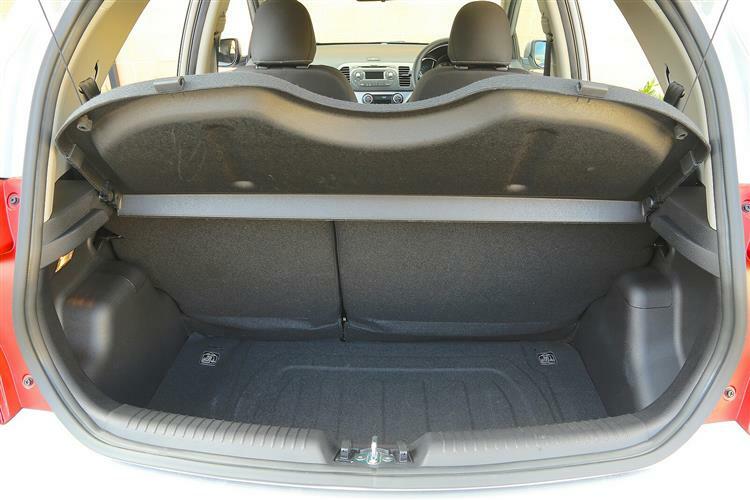 As for the boot, well the Picanto offers 255-litres of capacity, which puts it among the more spacious luggage carriers in this class. 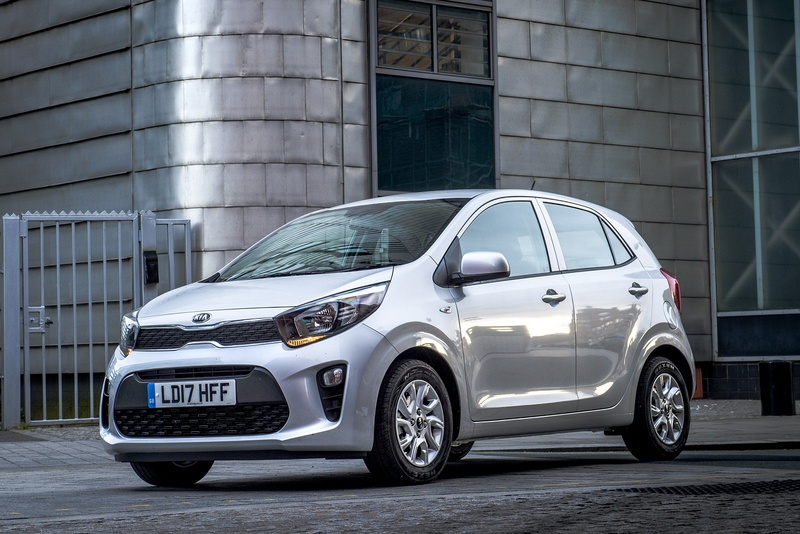 To head off in a brand new Picanto from a Kia showroom will cost from around £9,500 for the 66hp 1.0-litre MPi in base level '1' trim. Prices for the 1.0-litre variant rise to around £12,000 for the sporty 'GT-Line' version. You wouldn't expect bargain basement '1' trim to include much more than the basics - which is pretty much what you get; things like daytime running lights, electric front windows, a trip computer, 60/40 split-folding rear seats and USB and Aux-in ports for the two-speaker audio system. With plusher '2' trim, Kia will also throw in air conditioning, Bluetooth and rear electric windows. As for safety, well Kia says that this is the safest A-segment car it has ever made, featuring double the proportion of Advanced High Strength Steel compared to the outgoing model and a selection of active safety technologies. The stronger, lighter body is supported by six standard airbags (front, front side and curtain airbags), and an optional knee airbag, as well as a range of active safety features. These include standard Vehicle Stability Management (VSM) with Electronic Stability Control (ESC) to ensure stability under braking and cornering. In addition, this Picanto is available with Autonomous Emergency Braking (AEB). The entry point to the Picanto range is the 66hp powerplant we've been looking at here which delivers 64.2mpg on the combined cycle and 101g/km of CO2. What about other expenses you might incur? Well, regular maintenance is required every 10,000 miles or 12 months, depending on which comes round sooner. Or you could take out the 'Care-3' package that offers fixed prices on the first trio of dealer trips, and this can be extended to five check-ups with the 'Care-3 Plus' deal. You can also bundle in an MoT test with this, so you know your car is taken care of for the whole time your name is on the logbook. Couple the titchy fuel bills with free road tax and cheap insurance and you have a car that makes all kinds of sense for city drivers. It's exactly because it stacks up so well on the balance sheet that residual values look set to be very healthy. The much-trumpeted 7 year / 100,000 warranty helps in that regard since it's transferrable to future owners. However, it is worth pointing out that the 'bumper to bumper' complete car warranty is only five years, with the extra two years of cover being restricted to the engine and gearbox. 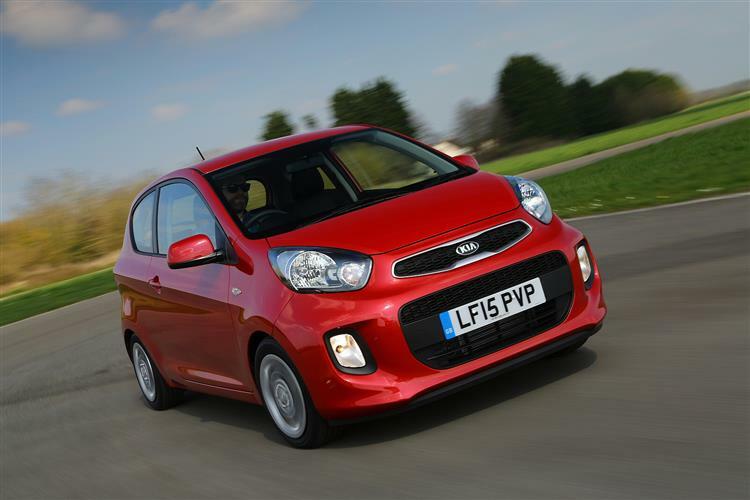 The Kia Picanto has been nipping at the heels of the class leaders ever since it was launched. Now, in third generation form, it's no longer chasing but firmly among the best in this tightly contested sector. Yes, even in this base 1.0-litre guise. It does this not so much by being radically different or brilliant in one area, but by doing everything well. It's well made, has plenty of safety kit and comes with a good amount of equipment in most versions. 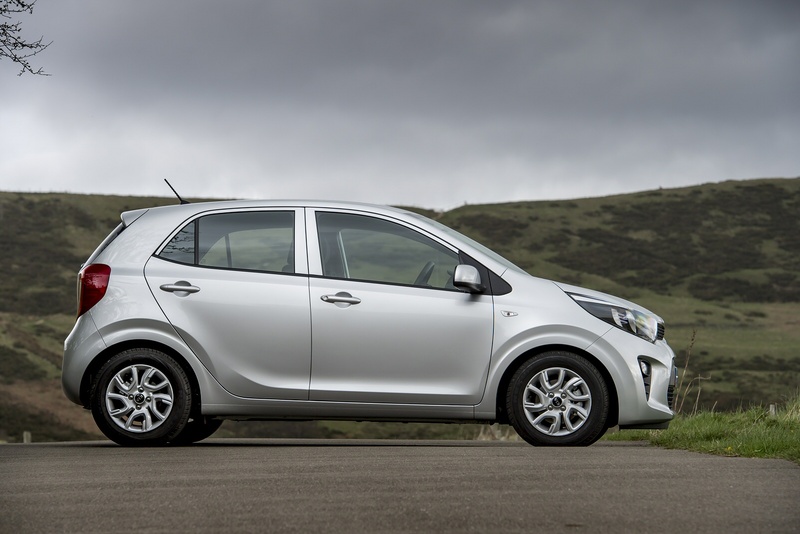 Simply put, the Picanto is the right car at the perfect time for Kia. It sums up what we love about citycars, from nimble driving to frugal running costs, all backed up by a generous warranty. It all makes this one of the very best models in this class we've seen in a long time. Kia's Picanto has earned a reputation as a no frills city scoot but the third generation model feels a far better finished item. Jonathan Crouch reports. 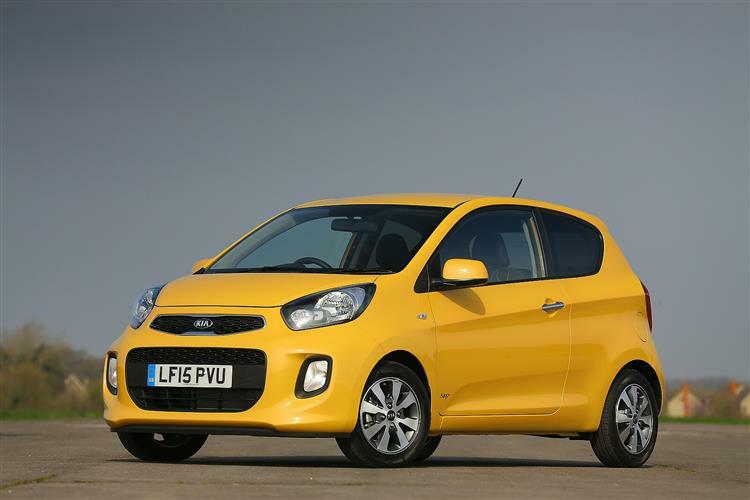 In third generation form, Kia's Picanto is a little citycar that's big in importance for its Korean maker. Stylish, frugal and practical, it may just redefine the way many people think about this smallest category of car. Here's how we used to understand small car categorisation and the difference between Fiesta-sized superminis and their smaller, cheaper citycar counterparts. You paid extra for a supermini because it was slightly bigger, because it was better finished and more stylish and because it had more refined engines that made possible longer journeys. So where does that kind of thinking leave us with a product like this, the third generation Kia Picanto? It competes with the kinds of models we'd see as citycars, yet like many of them now, it boasts the kind of interior space a supposedly bigger Fiesta or a Corsa had until quite recently. It's very nicely built and acceptably stylish. And yes, it's quite at home attempting longer journeys. Here is the citycar, all grown-up. Where that leaves today's supermini sector is something we don't have to worry about here. Suffice it to say that most of what you'd pay up to £15,000 or more for in that class of car is delivered by this Kia. Other urban runabouts that have previously advanced that argument have either been expensive and/or three-door only, like say a Fiat 500, or have felt too cheap and noisy to really justify themselves as only-car transport, like a Suzuki Celerio or, I suppose, a Hyundai i10. I mention the Hyundai because that essentially is what this Picanto is underneath. Kia has used the underpinnings from this best-selling design, then refined them, improved the build quality and added a sharp new suit of clothes on top. On paper, a pretty effective route to creating a class-leading contender. Let's see if it's worked. 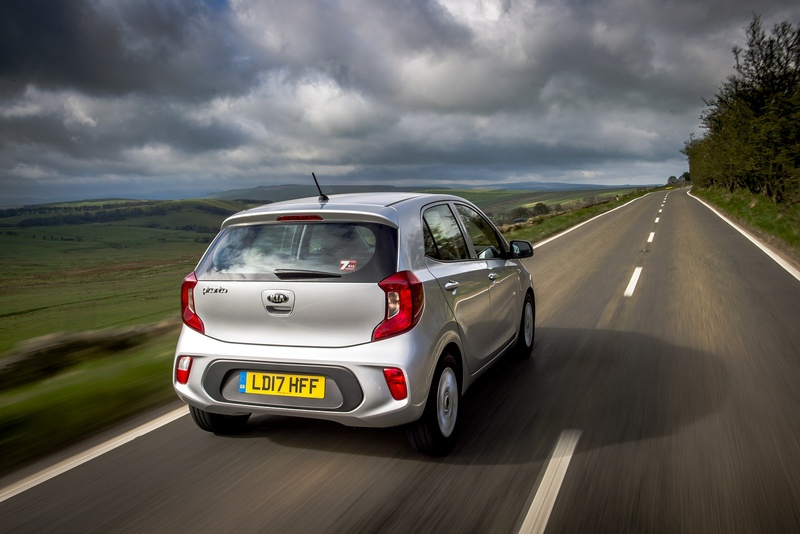 Underpinning this Picanto's quicker, more responsive steering is a range of highly efficient small-capacity petrol engines. Three units will be available to buyers. The 1.0-litre 66bhp and 1.25-litre 83bhp naturally-aspirated multi-point injection (MPI) engines have been carried over from the previous model, with a range of enhancements to improve efficiency and driveability. More interesting is the news that at the top of the range, Kia is introducing the pokier and more efficient 1.0-litre T-GDI (turbocharged gasoline direct injection) 99bhp power unit borrowed from the larger Rio supermini. All engines are paired with a five-speed manual transmission, delivering power to the front wheels. The 1.25-litre MPI engine is also available with a four-speed automatic transmission. On the move, buyers familiar with the previous model should find that refinement is much improved thanks to a range of modifications designed to isolate the cabin from vibrations and noise from the road, wind and the engine. 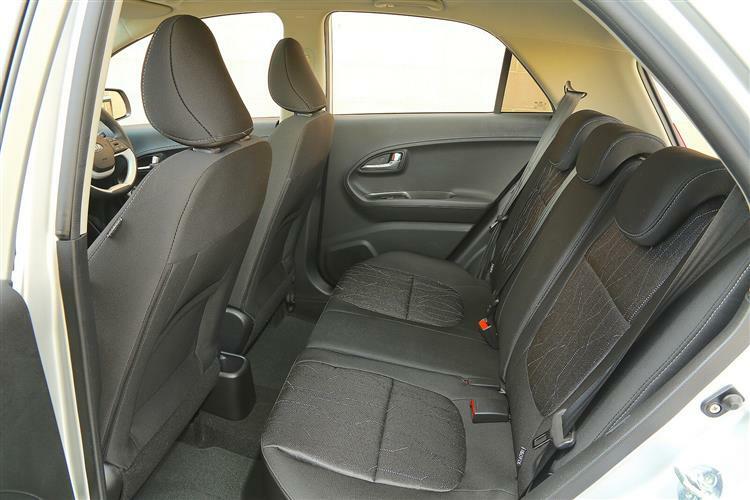 The result is a car that Kia says offers the quietest cabin of any A-segment model, both at idle and at a steady cruise. As for handling, well modifications to the suspension are said to deliver greater ride stability and quicker, more enjoyable dynamic responses. The Picanto's revised dimensions also enable the pitch centre of the car to be placed further towards the rear, helping to naturally reduce 'nose dive' under braking without firming up the suspension and potentially compromising ride comfort. 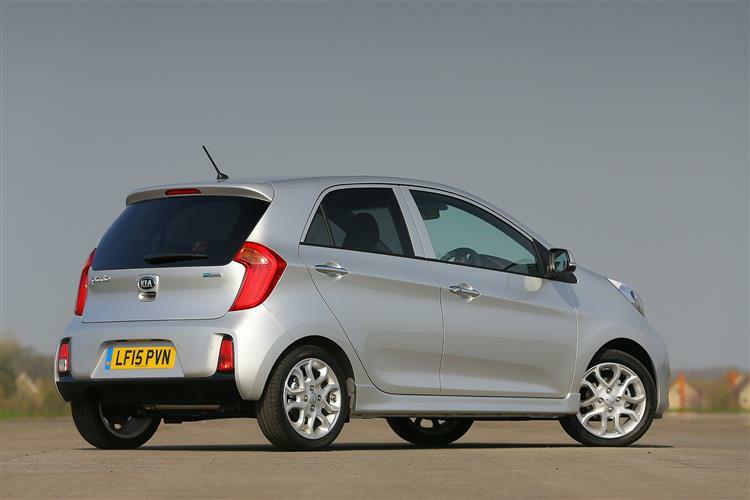 This third generation Picanto has a more assertive stance with bolder body lines. It's bigger too, with a 15mm wheelbase increase, though this MK3 model is no longer than the previous version. This time round, there's a single five-door bodystyle and strong, straight lines run horizontally across the front of the car, emphasising the 'tiger-nose' grille and angular wrap-around headlights. Vertical lines that encompass the side intakes and lower grille enhance the Picanto's more confident new 'face'. The model also adopts Kia's wide C-pillar as a design motif, which stands more upright than that of the previous car. Inside, Kia designers have created a more modern, refined cabin than the second-generation model, with classier materials and a smarter layout. The dashboard is now more centrally aligned, with a large 7.0-inch 'floating' touchscreen sitting at the heart of the centre console and moving many of the car's controls further up into the driver's line of sight. 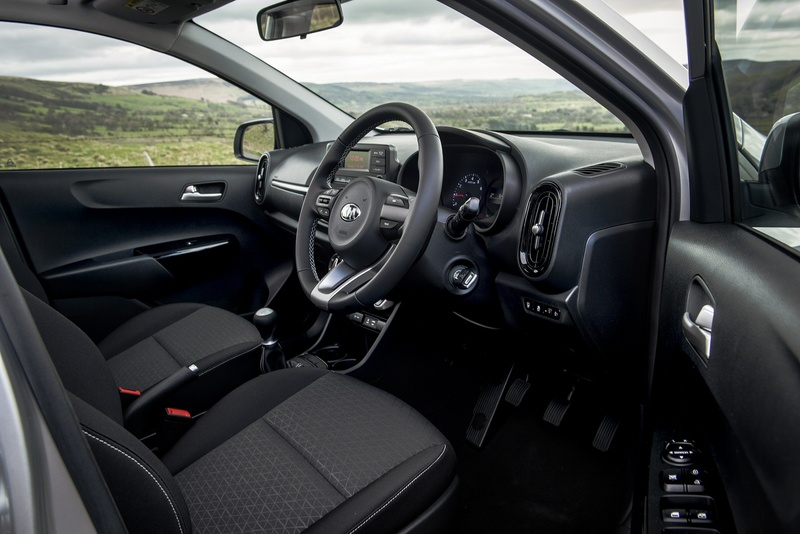 The interior certainly feels more spacious, the base of the dashboard having been moved upwards by 15mm for greater knee and leg space for front passengers. At the back, buyers get a choice of a bench offering either four or five seats. And behind that, there's a 255-litre boot that's class-leadingly big for a citycar. Pricing to be pretty similar to what went before, which means a Picanto range priced in the £9,500 to £14,000 bracket. There are four mainstream trim levels - '1', '2', '3', 'GT-Line' and 'GT-Line S'. Plus there's also an 'X-Line' variant with SUV styling cues. If within that range, you can stretch to a plusher model, you'll get yourself a citycar fitted out with some of the most advanced infotainment and convenience technologies available in the A-segment. Primarily, we're referring to the large, 'floating' 7.0-inch touchscreen at the centre of the dashboard which houses a navigation system with 3D mapping and is available with Apple CarPlay and Android Auto for full smartphone integration. A rear-view parking camera with dynamic guidelines is also on offer to buyers who want an additional level of assurance when completing parking manoeuvres. An optional wireless smartphone charger and USB port, located at the base of the centre console, ensures that drivers can keep mobile devices charged on the move. As for safety, well Kia says that this is the safest A-segment car it has ever made, featuring double the proportion of Advanced High Strength Steel compared to the outgoing model and a selection of active safety technologies. The stronger, lighter body is supported by six standard airbags (front, front side and curtain airbags), and an optional knee airbag, as well as a range of active safety features. These include standard Vehicle Stability Management (VSM) with Electronic Stability Control (ESC) to ensure stability under braking and cornering. In addition, this Picanto is available with Autonomous Emergency Braking (AEB). No car in this class has a sniff of a chance unless it can guarantee tiny day to day running costs and the Picanto tries hard to answer that particular call. Its efficiency potential is slightly restrictyed by the fact that the volume normally aspirated variants don't get the brand's 'ISG' engine stop/start system. Even the base 66bhp 1.0-litre unit still manages 64.2mpg on the combined cycle, with CO2 emissions of 101g/km. If you go for the 1.25-litre engine, the figures are 61.4mg and 106g/km, falling to 52.3mpg and 124g/km if you go for this engine with auto transmission. With the 1.0 T-GDI turbo variant, around 65mpg should be possible, along with a sub-100g/km CO2 figure. Couple the titchy fuel bills with free road tax and cheap insurance and you have a car that makes all kinds of sense for city drivers. It's exactly because it stacks up so well on the balance sheet that residual values look set to be very healthy. The much-trumpeted 7 year / 100,000 warranty helps in that regard since it's transferrable to future owners. However, it is worth pointing out that the 'bumper to bumper' complete car warranty is only five years, with the extra two years of cover being restricted to the engine and gearbox. If the car is sold through a Kia Used Approved Dealership when less than 18 months old or with less than 18,000 miles on the clock, the warranty will be topped up to match that of a new model. It's not uncommon to assess a vehicle and wonder why it has been launched. Some manufacturers get their product design cycles out of phase with economic conditions, while others launch into a once fashionable market that's gone cold. Then there are those that arrive plum square with the right product at the right time and the Picanto is most definitely one of the latter. It doesn't do anything that's particularly fresh or radical but its blend of affordability coupled with solid engineering, impressive build quality, generous equipment and clean styling build upon its tiny ongoing running costs to form a convincing buying proposition. 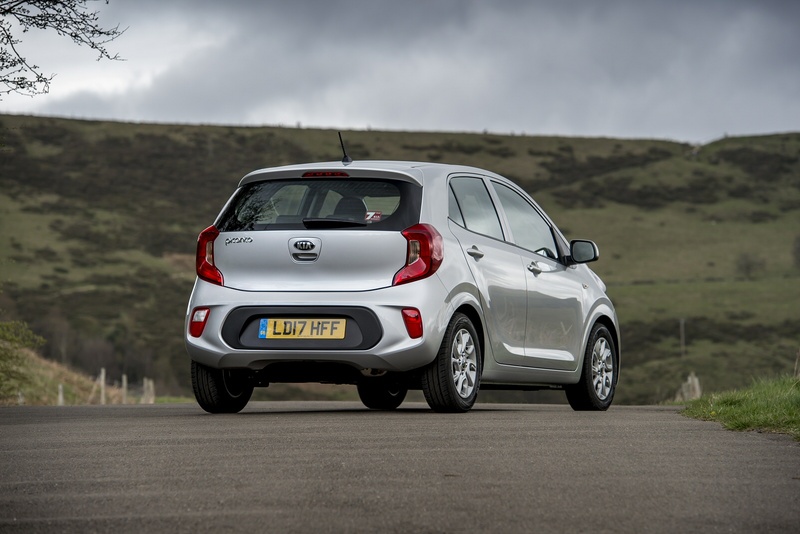 Back that up with a great warranty and the Kia Picanto emerges as one of the very best citycars we've seen in quite some time. 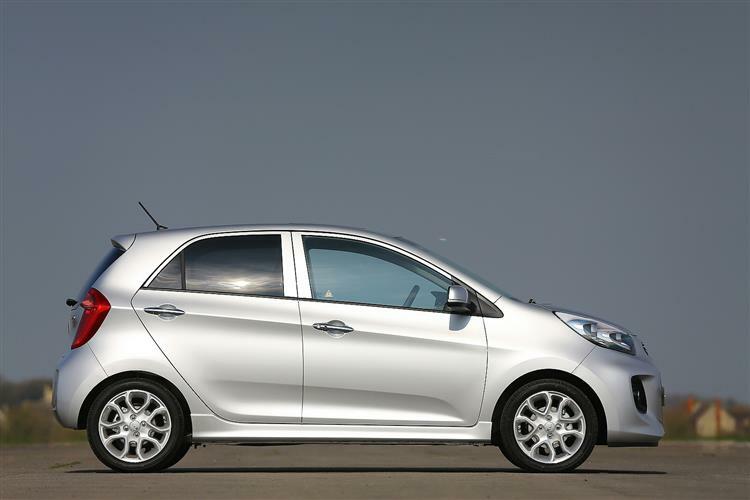 In second generation form, Kia's Picanto proved to be a little citycar that was big in importance for its Korean maker. Stylish, frugal and practical, it was much better than the cheap and cheerful original version and played its part in redefining the way many people think about this smallest category of car. Let's check this MK2 model Picanto out as a potential used buy. Here's how we used to understand small car categorisation and the difference between Fiesta-sized superminis and their smaller, cheaper citycar counterparts. You paid extra for a supermini because it was slightly bigger, because it was better finished and more stylish and because it had more refined engines that made possible longer journeys. So where does that kind of thinking leave us with a product like this, the second generation Kia Picanto? It competes with the kinds of models we'd see as citycars, yet like many of them these days, it boasts the kind of interior space a supposedly bigger Fiesta or a Corsa had until quite recently. It's very nicely built and acceptably stylish. And yes, it's quite at home attempting longer journeys. Here is the citycar, all grown-up. Other urban runabouts that have previously advanced this argument have either been expensive and/or three-door only, like say a Fiat 500, or have felt too cheap and noisy to really justify themselves as only-car transport, like a Suzuki Alto or a Hyundai i10. We mention the Hyundai because that essentially is what this Picanto is underneath. 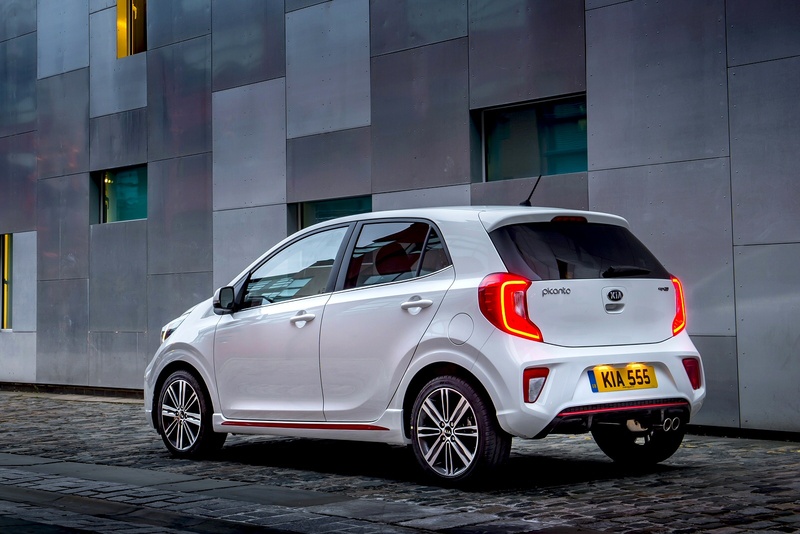 In creating this MK2 model Picanto, Kia used the underpinnings from the best-selling i10 design, then refined them, improved the build quality and added a sharp new suit of clothes on top. That proved to be a pretty effective route to creating a class-leading contender and this MK2 Picanto sold in useful numbers for the brand until it was replaced by a new third generation design in the Spring of 2017. The original MK1 Picanto model, ground-breaking though it was for its brand at the time of its original launch back in 2004, was very much a product of old-school Kia. A nice enough design, and very popular with 1.1 million global sales, but clearly a car for the cash-strapped. This MK2 model, in contrast, was more the kind of thing that back in 2011, you might have imagined Audi making. The exterior looks don't immediately pigeonhole you as a budget buyer in the way that the styling of, say a Hyundai i10 does. Perhaps it's no coincidence that stylist Peter Schreyer is an ex-Audi man. He developed the trademark 'Tiger nose' front grille that adorns most Kias from this period. In this case, it complements smart looks that extend down sharply scalloped flanks with door handles sitting atop a prominent longitudinal crease. MK2 Picanto buyers were offered a choice of both three and five-door guises, the three-door car featuring a more aggressive frontal treatment and a unique rear C-pillar. Things continue on in the same vein inside a cabin that punches well above its price point. It's all a long way from the not too distant days when interiors of cars of this kind had all the stylistic appeal of a telephone box. True, some of the plastics used here are still a little hard to the touch but you'd expect that in a citycar and anyway, everything's so nicely integrated that you don't really notice, the ambience lifted considerably by a silver strip that runs along the lower half of the dash to lift the otherwise unremitting blackness of the cabin. Take a seat behind the very up-market-feeling steering wheel and you find yourself facing the so-called 'three cylinder' instrument panel where everything's clear, concise and easy to read. To your left is a centre console offering ventilation and stereo controls with big, easy to use buttons. Finding an ideal driving position is hampered a little by the lack of a reach-adjustable steering wheel but there is a height-adjustable driver's seat in mitigation. As for rear seat passengers, well, the amount of room in the back is astonishing for a car that takes up less than 3.6m of roadspace. Not much of the 60mm increase in vehicle length of this MK2 model went into the wheelbase - it's just 15mm bigger than that of the previous car - but even so, a range of clever packaging ideas created a cabin in which a couple of 6ft adults could sit reasonably comfortably on all but the longest journeys, despite legroom which could best be described as 'cosy'. Even more effort was made in the boot, 27% larger than that of the MK1 model. Mind you, that still only means a necessarily tight 200-litre capacity (up from 157-litres in the previous design), which might be a problem if you're trying to fit in something like a pushchair. This indeed is one of the few areas in which a fully-fledged supermini might enjoy any kind of significant advantage over this car. Mind you, even that won't be a problem if you're able to flatten the 60/40 split-folding rear seats, which push forward to free up 870-litres of fresh air. Refer to Car & Driving for an exact up-to-date valuation section. Click here and we will email it to you. Very little goes wrong with typical second generation Picanto models; in fact, our ownerships survey almost completely failed to find anyone at all who was dis-satisfied. The closest we came to that was with an owner who complained of sticking rear brake callipers. Otherwise, just look out for the usual things; kerbed alloys and damage caused to interior plastics by unruly children. Make sure that the service book is fully stamped up by a franchised dealer too. One characteristic that Kia was keen to carry over to this car from the previous MK1 model Picanto was that car's perky feel. Although the original model was never quick (you could hardly beat 15s from rest to sixty even in the fastest version), it handled reasonably crisply and the steering was geared such that it felt almost criminally good fun to punt around city streets, even if your speed never exceeded 30mph. Okay, so the 1.0 and 1.1-litre engines were almost impossible to tell apart but it was a car that put a smile on your face. This second generation version offers a bit more variation between its pair of powerplants, with entry level buyers seeing 69bhp from their 1.0-litre engine, whilst those opting for the 1.25-litre Kappa unit have 85bhp at their disposal. The difference between the two is actually bigger than the outputs might suggest, and not only because the faster version's 11.0s showing from rest to sixty is a couple of seconds quicker than its stablemate. For a start, the lower-powered 69bhp variant has just three cylinders, so is inevitably noisier when you push it hard, as you have to in order to make rapid progress. Those likely to need their Picanto to undertake longer journeys on any kind of regular basis will be better off shaking the piggybank a little further and opting for the four cylinder 1.25-litre model. It's 121Nm of torque means that urban trips need fewer gearchanges, while out of town, it's a surprisingly comfortable car in which to cover off motorway mileage. Even at the legal limit and just above, thanks mainly to a triple-layer dashboard bulkhead sound-deadening panel, it's possible to hold a conversation comfortably, by no means a given in a car of this kind. And when things get twistier? Well, the good news for those looking for a grin behind the wheel is that much of the original Picanto model's suspension architecture was carried over to this MK2 design, albeit evolved subtly. The front suspension was tuned for better straight line stability, and Kia reckons it not only improved the ride with softer springs but made the handling a little keener with a much stiffer rear axle that helps quell understeer. Braking from the all disc system is far better than that of the previous car, the stopping distance from 62mph being just 41m. Not quite such good news is that the MDPS motor-driven electric power steering system is a little vague for really enthusiastic use, but its very lightness will be welcome when wheel-twirling in urban settings where as you'd expect, this car is simple to park. The days when all a citycar had to be was small, frugal and cheap are long gone. Those things are now a given in this sector. For success in this segment today, such an urban runabout must be stylish, practical and realistic for longer journeys as well as shorter ones. The need to achieve all of that whilst still being small, frugal and cheap must present one almighty headache to vehicle designers. But by and large, this car achieves it. We're not pretending this MK2 Picanto to be perfect. The 1.0-litre version could be a little quieter and needs stop start. And it would be nice if the boot was a little bigger. But these things apart, we've struggled to find fault with this car. In terms of looks, packaging, running costs and general day-to-day usability, Kia set a new benchmark with this model. What it boils down to is that though you can spend less on a used citycar from this period, after trying one of these, you probably won't want to. 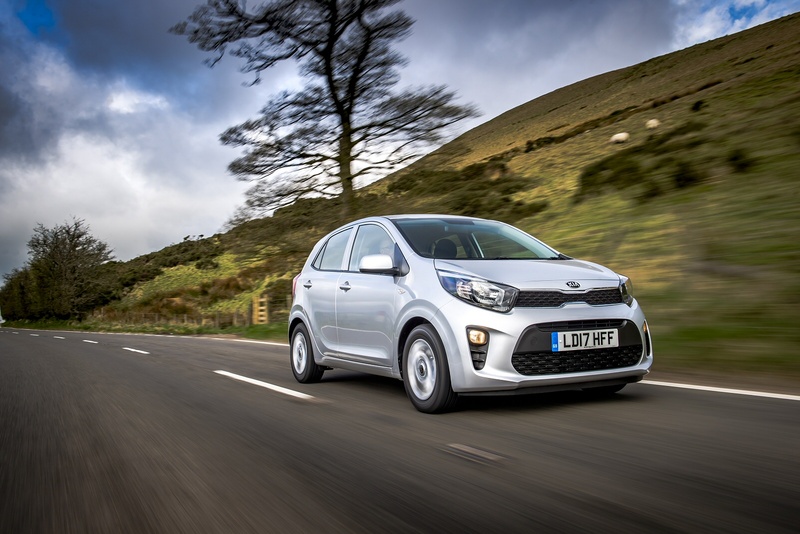 The third generation Kia Picanto proves there is a demand for cheap and cheerful - as June Neary reports. 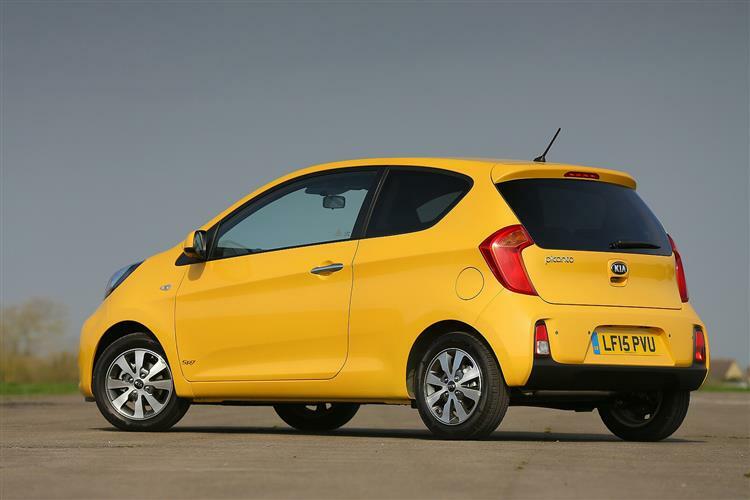 There's something delightfully unpretentious about the Kia Picanto. It's not trying to claw its way up the social ladder, nor does it sport a badge that'll have people looking at your car keys and casting aspersions as to what you've done to get them. Instead it's an honest to goodness city car that's simple to drive, costs peanuts to run and which is far from the dull experience that you might expect at this price point. You might well remember previous generation Kia Picantos, cheap and cheerful citycars that were really quite basic, both inside and out. While this model did a job in its original guises, it really was just transport. The MK3 version has a lot more about it and feels a far better quality vehicle. In short, I like it a lot. There's no doubt that this Picanto is now quite a handsome little thing. It's the sister car to Hyundai's i10 but it looks that bit sharper. It features the trademark Kia front grille, but it also exhibits deeply scalloped flanks with the door handles sitting perched on a sharp crease. Now available only in a five door body style, the Picanto offers a reasonably-sized 255-litre boot by class standards. 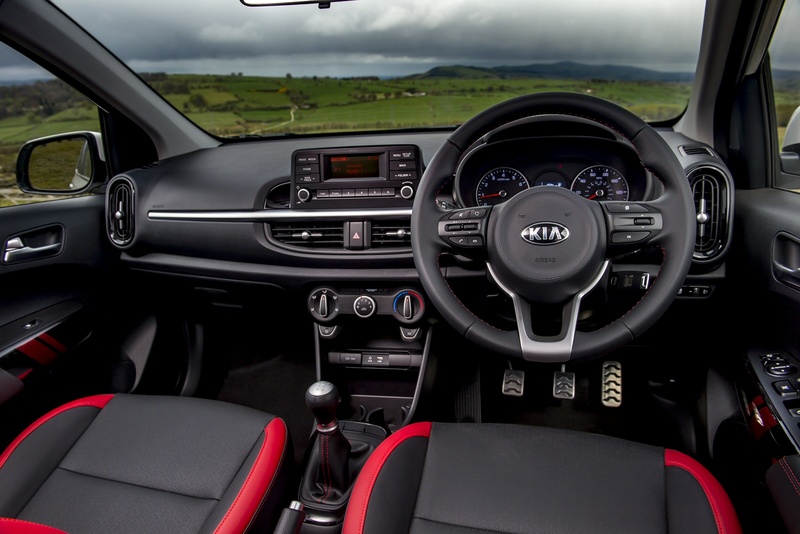 The cabin is cleanly styled and again it's clear that Kia is forging its own personality on its cars. 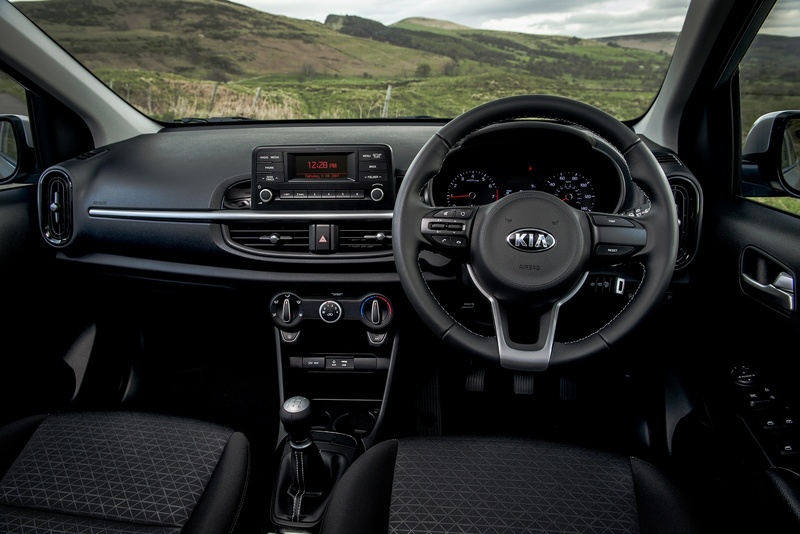 The 'three cylinder' instrument panel design is spread across the Kia range while the centre console brings the air conditioning and stereo controls within easy reach with big, easy to operate buttons. Metallic finishes lift the feel of the fascia and while some of the plastics are a little hard to the touch, the overall effect is an interior that punches well above its price point. 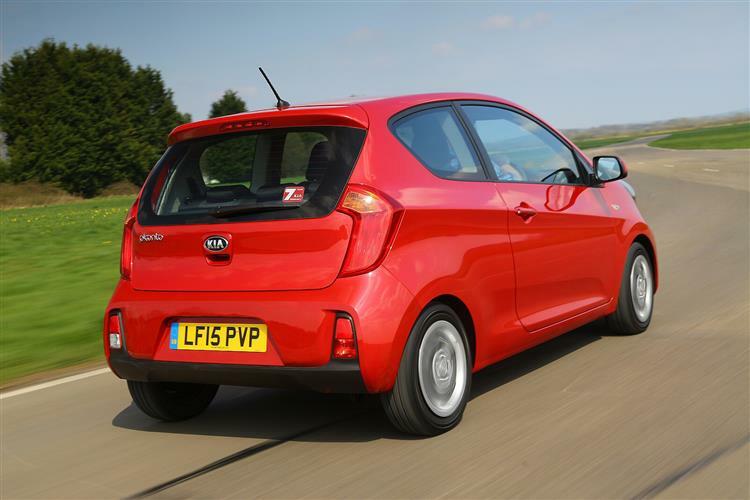 One characteristic that Kia was keen to carry over from the previous Picanto was that car's perky feel. Although the original Picanto was never quick, it handled reasonably crisply and the steering was geared such that it felt almost criminally good fun to punt around city streets, even if your speed never exceeded 30mph. This time round, three units are available to buyers. The 1.0-litre 66bhp and 1.25-litre 83bhp naturally-aspirated multi-point injection (MPI) engines have been carried over from the previous model, with a range of enhancements to improve efficiency and driveability. More interesting is the news that at the top of the range, Kia has introduced the pokier and more efficient 1.0-litre T-GDI (turbocharged gasoline direct injection) 99bhp power unit borrowed from the larger Rio supermini. All engines are paired with a five-speed manual transmission, delivering power to the front wheels. The 1.25-litre MPI engine is also available with a four-speed automatic transmission if you want it. On the move, buyers familiar with the previous model should find that refinement is much improved thanks to a range of modifications designed to isolate the cabin from vibrations and noise from the road, wind and the engine. 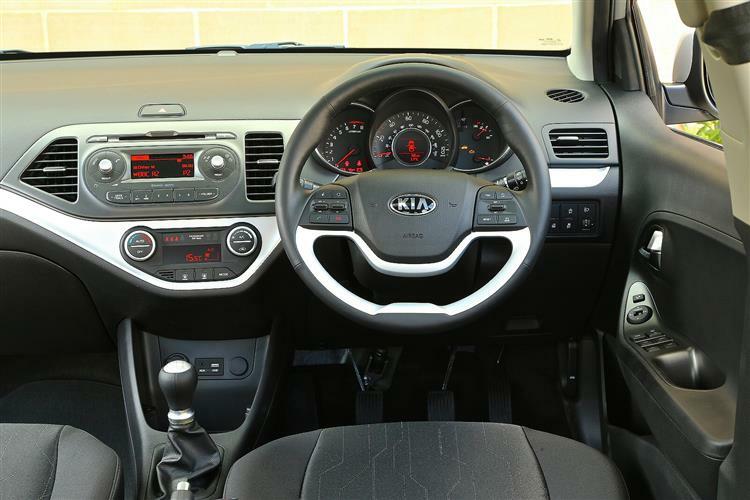 The result is a car that Kia says offers the quietest cabin of any A-segment model, both at idle and at a steady cruise. As for handling, well modifications to the suspension are said to deliver greater ride stability and quicker, more enjoyable dynamic responses. The Picanto's revised dimensions also enable the pitch centre of the car to be placed further towards the rear, helping to naturally reduce 'nose dive' under braking without firming up the suspension and potentially compromising ride comfort. 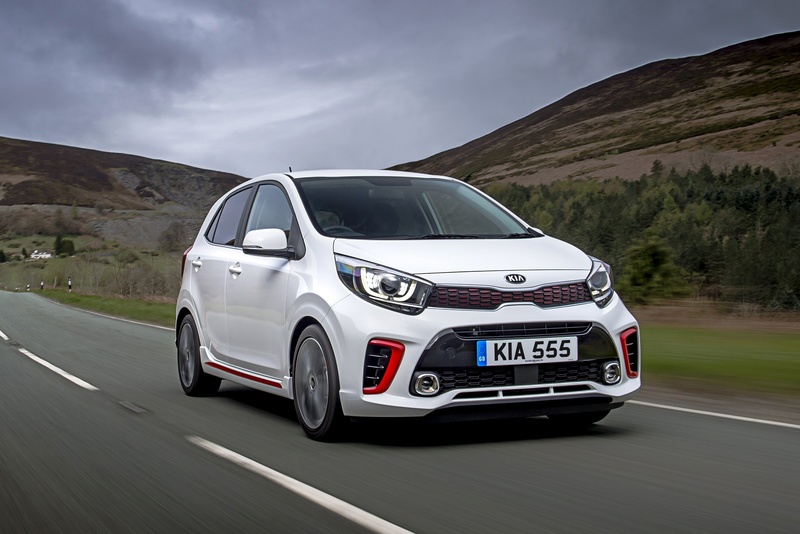 The good news for those looking for a grin behind the wheel is that much of the old Picanto's suspension architecture has been carried over, albeit evolved subtly. The front suspension has been tuned for better straight line stability, and you'll certainly feel the benefit of this on the motorway. The car also feels less susceptible to wandering when driving through crosswinds. Prices start at around £9,500, which means that the Picanto costs a good deal less than, say, a Ford KA+ or a Peugeot 108. This should keep sales looking healthy. I'd be looking to fork out a little more for a model fitted with the large, 'floating' 7.0-inch touchscreen at the centre of the dashboard which houses a navigation system with 3D mapping and is available with Apple CarPlay and Android Auto for full smartphone integration. A rear-view parking camera with dynamic guidelines is also on offer to buyers who want an additional level of assurance when completing parking manoeuvres. An optional wireless smartphone charger and USB port, located at the base of the centre console, ensures that drivers can keep mobile devices charged on the move. As for safety, well Kia says that this is the safest A-segment car it has ever made, featuring double the proportion of Advanced High Strength Steel compared to the outgoing model and a selection of active safety technologies. The stronger, lighter body is supported by six standard airbags (front, front side and curtain airbags), and an optional knee airbag, as well as a range of active safety features. These include standard Vehicle Stability Management (VSM) with Electronic Stability Control (ESC) to ensure stability under braking and cornering. In addition, this Picanto is available with Autonomous Emergency Braking (AEB). Even as someone who appreciates a bit of pampering, I can see the appeal of the Kia Picanto. A citycar is something that you really can't afford to get too precious about. It's going to be parked on the street and will need to shrug off abuse from shopping trolleys, cycle couriers, bored teenagers, sleeping policemen and cavernous potholes. It'll be bumped up and down kerbs and get covered in city grime. You need a car that can soak up this punishment but still put a smile on your face. The Kia Picanto answers that call quite admirably. Best of all, it's decently finished yet hasn't forgotten its reason for being. It's cheap but far from nasty.